Emily, aged nine, is having a miserable time staying with strict Mrs. Crane while her mother is ill. Kitty, aged thirteen, is grieving a tragic loss. The two girls meet by chance on the outskirts of Victoria, B.C. in 1881. Kitty has been left at home with the servants and she invites Emily to spend the day with her. Neither one knows that this special day, which ends with a comet, will change their lives forever. 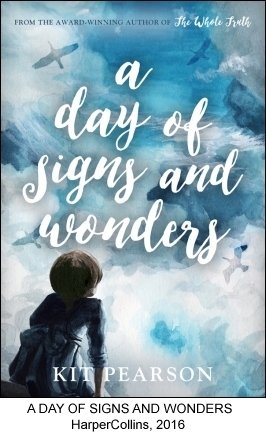 This book was inspired by an autobiographical story, “Mrs. Crane”, written by the famous artist, Emily Carr. The house where Emily and Alice are sent to stay in real life was right next door to Point Ellice House, once owned by the O’Reilly family. When I realized this, I wondered if Emily and Kathleen (Kitty) met each other during Emily’s stay. Whether or not they did, It was fun to create the friendship between these two very different girls. For the first time in my writing I used two points of view, which alternate in each chapter. And for the first time I based my novel on two real people. 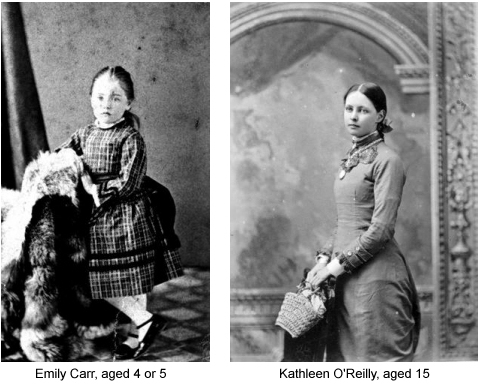 Emily wrote extensively about her childhood, and Kathleen’s diaries and letters are collected at the B.C. Archive. You can visit each of their houses (see Emily Carr House and Point Ellice House) and discover for yourself the places in my novel.